New things are happening every day at the award winning Holiday Inn Select Dallas Love Field We are now a 100% smoke free facility. New bed linens, duvets and pillows, and expanded TV stations with a wide selection of on-demand movies and HBO series are among the upgrades we've completed in your guest room this year. We've also added a dedicated Southwest Airlines boarding pass kiosk and state-of the-art arrival/departure monitors with the Weather Channel to our lobby for up to the minute travel information. 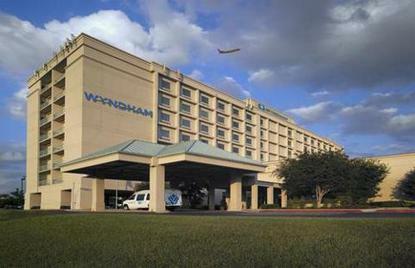 Located across from the entrance to Love Field Airport, we are the newest full service hotel serving both business and leisure travelers. Access to businesses and attractions including Texas Stadium, American Airlines Center, West End, Dallas Market Center, Reunion Arena, Southern Methodist University, Fair Park and Smirnoff Center are quick and easy. Some of Dallas' most exclusive dining and shopping are just a few minutes away in Highland Park Village. We are located on Mockingbird Lane, about one mile from the Dallas Tollway, and three miles from I35 and Central Expressway. Our professional and friendly staff look forward to welcoming you again and again. This hotel is committed to providing accessible facilities under the American Disabilities Act. If your accessibility needs are not met, please contact the Hotel Manager on Duty. Should you require additional information regarding accessible facilities for guests with disabilities, please call 1-800-Holiday (U.S. and Canada) or contact the hotel directly. For the hearing impaired, TDD service is available at 1-800-238-5544 within the U.S. and Canada.